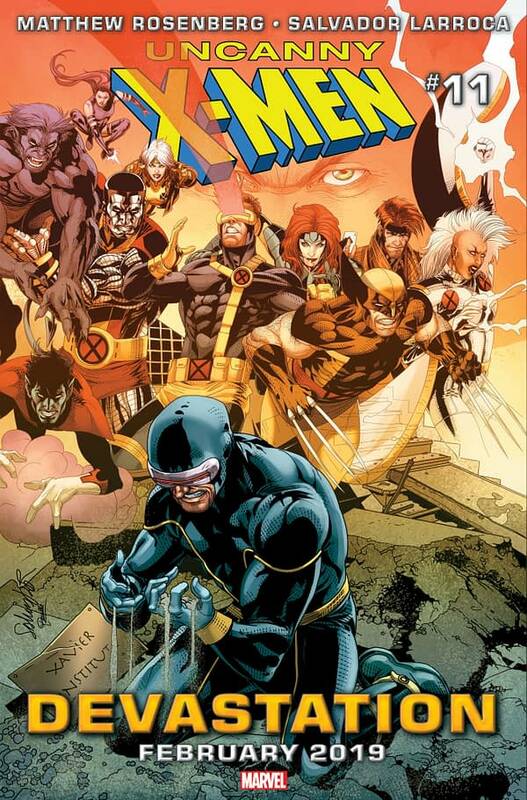 Home » Comics » Will There Even Be an Uncanny X-Men Comic After #11? 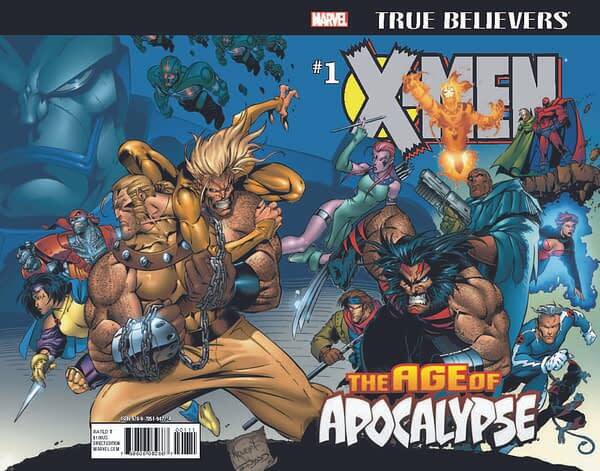 Once upon a time, there was The Age Of Apocalypse. The comic book event, not the movie. 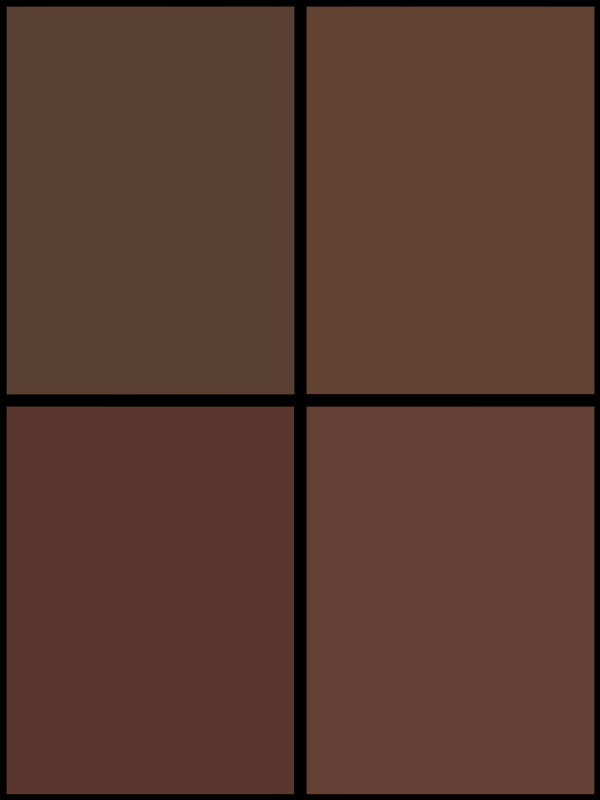 Very different. It saw Legion going back in time to kill Magneto but killing Professor X instead, and changing the timeline, with Apocalypse speeding up his attack on Earth and succeeding this time. Running from 1995 to 1996, with lead writers Scott Lobell and Mark Waid, it span off into all manner of books with contributors including Fabian Nicieza, Larry Hama, Warren Ellis, Jeph Loeb, Joe Madureira, Andy and Adam Kubert, Tony Daniel, Salvador Larroca, Chris Bachalo, Steve Skroce, Terry Dodson, Carlos Pacheco and many more. It saw the Marvel reality rewritten and all the mutant books replaced with new renamed books for a few months. So we got X-Calibre, Gambit and the X-Ternals, Generation Next, Astonishing X-Men, Amazing X-Men, Weapon X, Factor X, X-Man and X-Universe. The event was bookended by two one shots, Age Of Apocalypse Alpha and Age Of Apocalypse Omega. It was revived in 2005 for a celebratory anniversary and then again in 2015 as one of the patchwork realities in Secret Wars and also the Dark Angel Saga in Uncanny X-Force. It also left the Marvel 616 reality with a few newcomers. Including their version of Nathan Summers/Cable known as Nate Grey and getting his own ongoing X-Man comic, Holocaust, The Dark Beast – Hank McCoy from that reality – and The Sugar Man, very much his own… beast. And a living version of Blink, too. 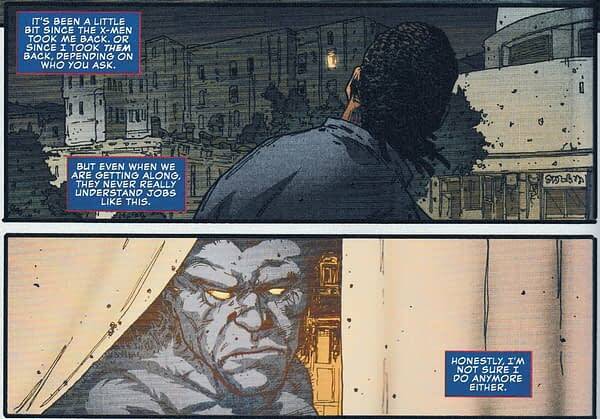 In this week’s Uncanny X-Men #1 we get to see Dark Beast and Sugar Man again. And we also got a teaser for Age Of X-Men. Which is also starting with an Age of X-Man Alpha book. 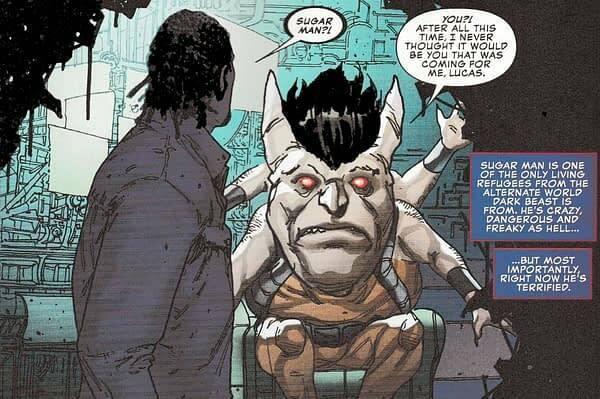 With the older Nathan Summers being killed by the younger teen Cable in the recent Extermination series, could that action have created a new reality, just like Age Of Apocalypse did? 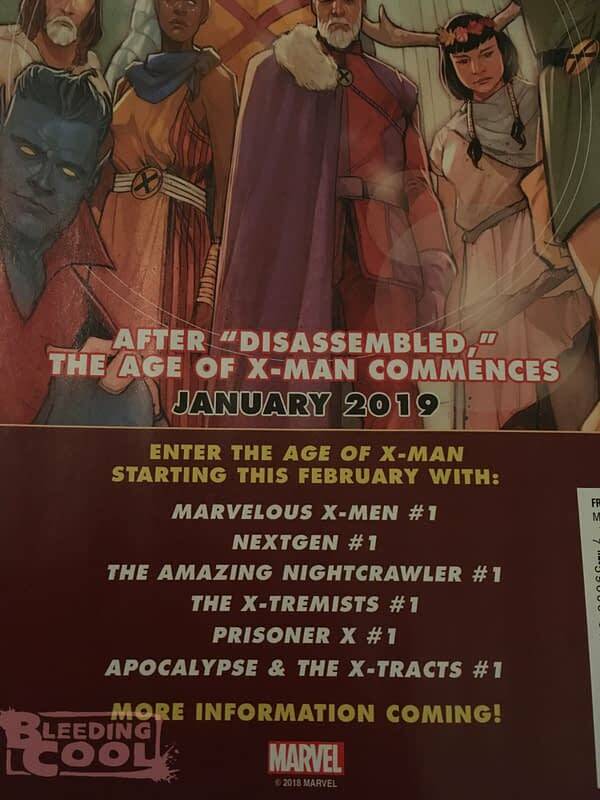 And does that explain the teased lineup of books for February, The Marvelous X-Men #1, Nextgen #1, The Amazing Nightcrawler #1, The X-Tremists #1, Prisoner X #1 and Apocalypse & The X-Tracts #1. In Uncanny X-Men #11 in February, Matthew Rosenberg and Salvador Larocca will be creating a story called Devastation, for which Marvel released a teaser in which we see a distraught Cyclops sifting through the ashes of the Xavier Institute as memories of X-Men past float above him. Is this because, when Cyclops returns, the rest of the X-Men will already be gone to an alternate universe? Will there even be an Uncanny X-Men comic book after #11? 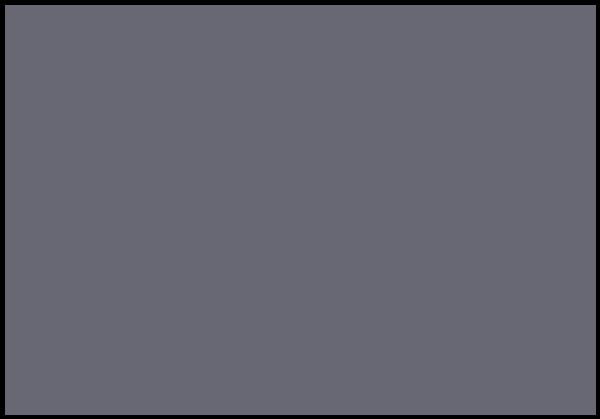 Will it go away just like the standard books did in Age Of Apocalypse? He doesn’t say it will last more than one issue.